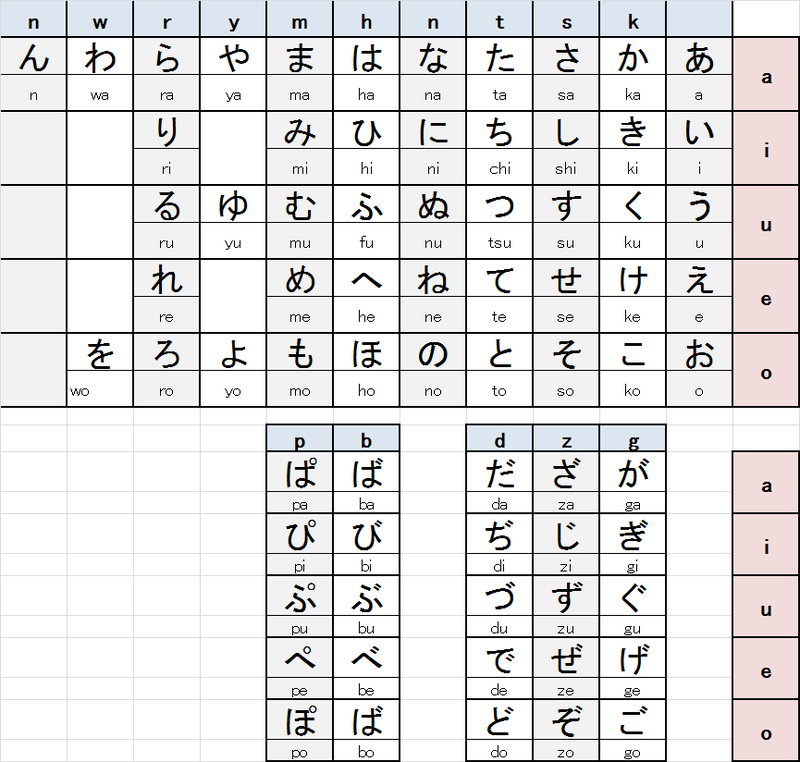 According to the Hepburn system (rōma-ji, ローマ字), one Hiragana can be expressed by two English characters. For example, "か" is "ka". "k" is a consonant, and "a" is a vowel. 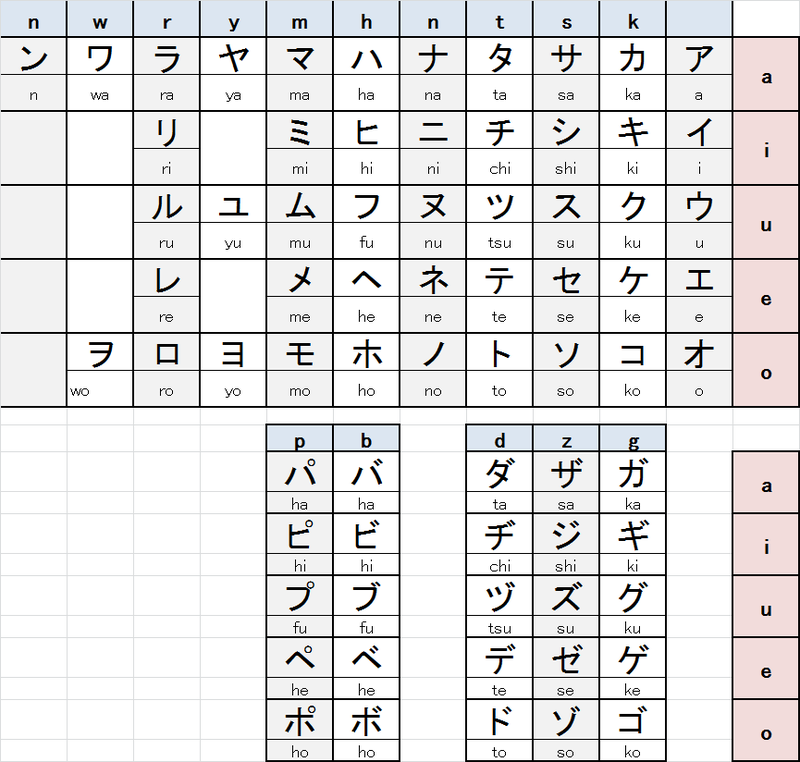 (Japanese has 5 vowel; "a", "i", "u", and "e".) The name of places, people, and things appeared in Japan can be expressed in English characters by the Hepburn system. However, the pronunciation of English is not same to that of the Hepburn system. For example, "さ" is "sa" in the Hepburn system, but English speakers cannot understand the pronunciation of "sa" is same to "SAnd" or "SAme". The under table is the pronunciation table for the Hepburn system. The pronunciation of underlined part of English words is samte to that of upperf Hiragana. 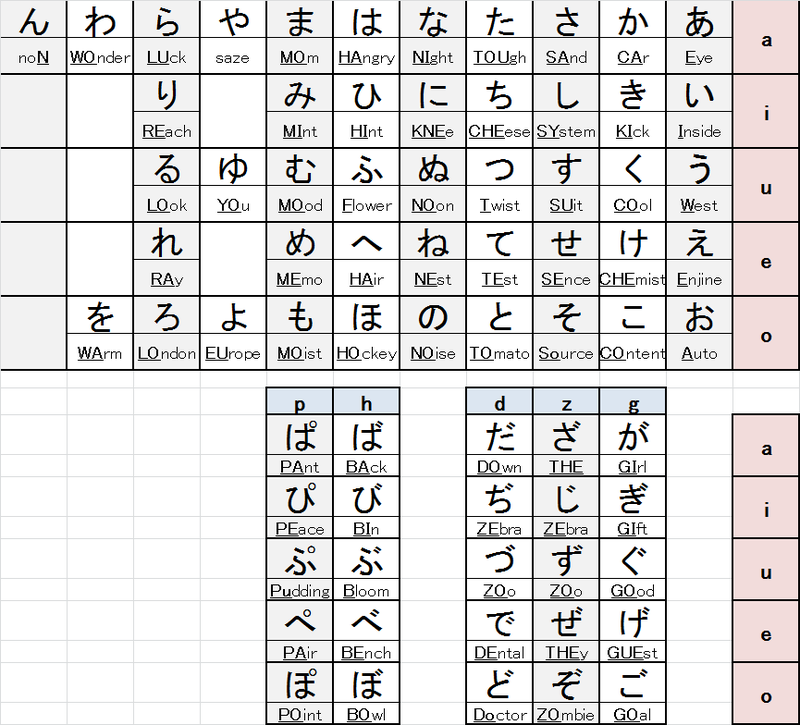 The pronunciation of Katakana is same to that of Hiragana.